Best seller! Make it easy on yourself and your clients with these personalized record saver envelopes. 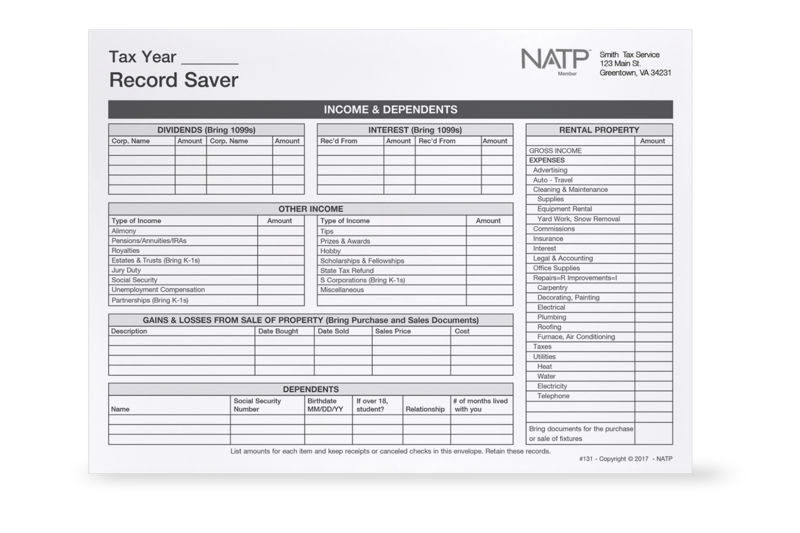 This top-notch product has text reflecting federal tax laws, so it’s great for keeping an organized account of tax records. NATP logo optional for members. For nonpersonalized option, see envelope #131. Personalized envelopes must be purchased in quantities of 100 or more. Step 3 – After you have approved and submitted your proof add the quantity you wish to order (100 minimum) and Add to Cart. Enter a valid quantity below to see a price.